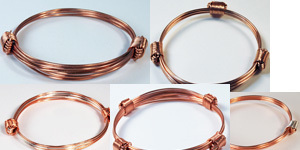 The legend of Africa lives on through these very affordable copper bracelets. 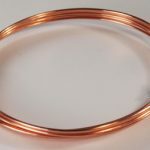 Now in bright shiny new full round wire copper. This is the advanced 4 knot model, with all 4 knots potentially adjustable. 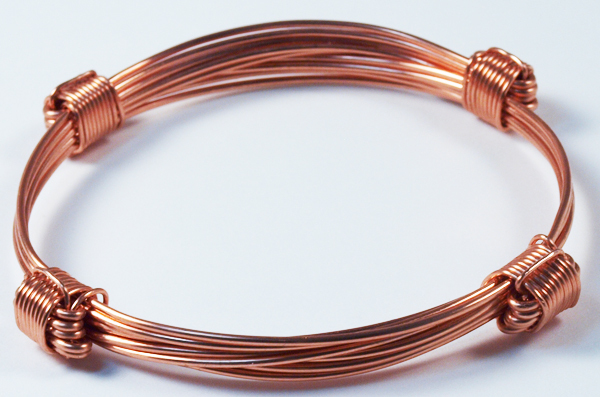 Makes for a lot more wire strands overlapping and a heavier bracelet that has no up or down – all sides show knots. 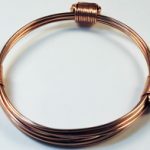 Now in heavier round copper wire for a more elegant finish and weight. 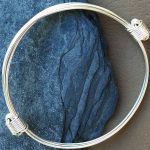 Large open very wide for biggest man’s hand and wrist. 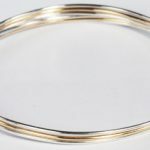 Small recommended for ladies (unless you are full bodied) Note these cannot go very small – there simply is no room for the wire to turn the corners and slide. 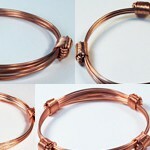 Copper patina will change over time. Rate of change depends on environment and how you polish and store it.